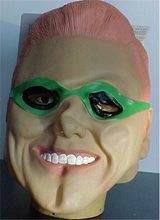 The Riddler Costume Mask;This Riddler Costume mask is the perfect addition for any Riddler Costume. If you are looking for a fun group theme idea consider any of our other Costumes for any age group. 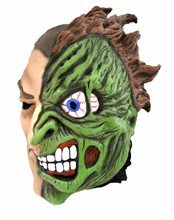 Two-Face Latex Mask; Two-Face Overhead Latex Adult Mask. Torn between two characters to be this Halloween? Don’t settle, choose Two-Face! 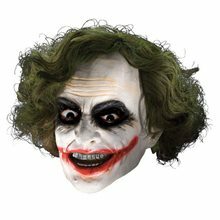 This overhead latex mask features the classic Batman villain, Harvey Dent/Two-Face. One size fits most adults. 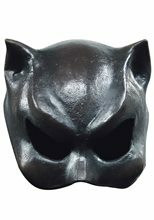 Cat Girl Adult Half Mask.Includes: One Cat Girl Adult Half Mask. Available Size: One Size Fits Most Adults and Teens. *Costume and Accessories Not Included. Sold Separately. Complete your costume with this awesome Cat Girl Adult Half Mask! It's the perfect addition to your costume this Halloween! 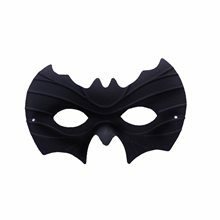 Black Bat Half Mask;Bat Face Mask - Drive others batty in this black half mask shaped like a bat. Going to a masquerade party or dressing up as a superhero? 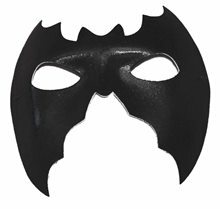 This black Bat Face Mask is a perfect addition to any costume look! 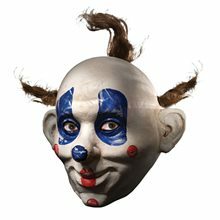 Mask is lightweight and comes complete with elastic straps for comfortable wear. So whether you need a bit of mystique or to leap over a building in a single bound - this mask if for you! !